One of my favourite things about blogging, apart from the creative outlet it gives me, is the social aspect. Never in my life did I think there were so many girls out there as crazy about make-up as me, I mean sure, my friends like make-up and beauty but I love it. 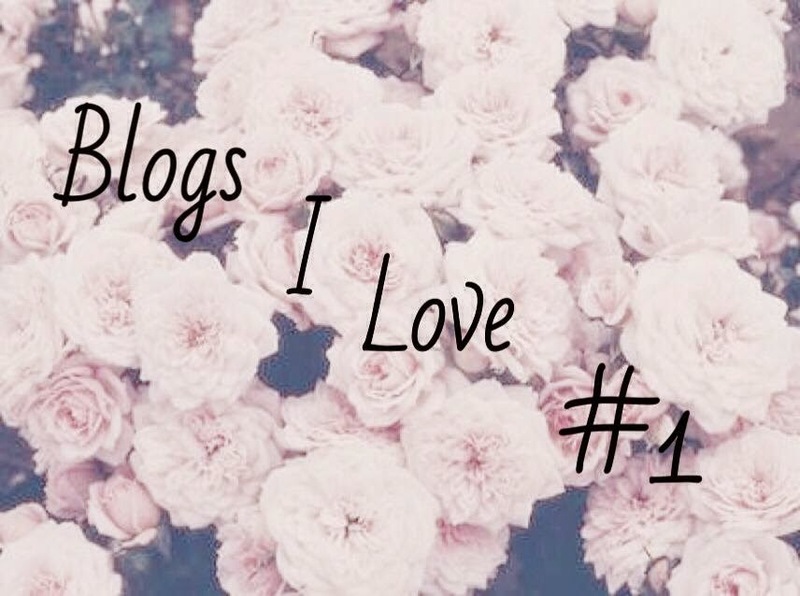 So when one day 'Rosy Smiles' popped into my head I never knew I'd end up with a list of blogs I now can't go a week without checking up on, and a group of girls who I now class as my little 'blog friends'. This post is just to give them some credit as I genuinely love all their work and it gives me those fuzzy feelings to share some blog love! 1: Lauren The Day Dreamer. Believe it or not Lauren was one of the first girls I ever spoke to on this old blogesphere! Both being from Northern Ireland we had a quick run down we realised we have mutual friends - small world eh? Lauren's blog is the perfect mix of beauty and lifestyle and her pictures are awesome. I'm usually super jealous of all her lifestyle posts and her honest opinions mean you know what you're getting with every review. I love this blog and I check up on it regularly to make sure I haven't missed out! - She also posts on YouTube which I love as it mixes up the usual blog post format, and tweets from @LR_Daydreamer. Okay so not technically a blogger but boy does this lady post some brilliant videos! I got talking to Gillian pretty early on in my blogging adventure and we've been in contact since. She's the only blogger I've met in real life and is such a lovely person! Her videos have the most incredible looks that give me inspiration all the time. And there is no doubt that if you want to incorporate glitter into your look somewhere, Gillian has you covered! Also she may have the biggest MAC collection I have ever seen. You can tweet Gillian on @PurpleGillian. Alice, Alice, Alice. The girl who inspired me to write this post. I was lucky enough to feature in one of her favourite blogs posts and how could I not return the favour? And no, I'm not just doing it because she did it for me. This girls' blog is amazing. Her beauty and lifestyle posts are fun, well written and honest and you feel like you're just reading from one of your mates. She's recently ventured into fashion which I am buzzing about as she rocks a kimono like no other! Our matte lip obsession knows no bounds and I can always count on her to encourage my bad spending habits! Catch Alice and her ramblings over on @AliceSpake on twitter. This little blog by Claire popped into my radar not too long ago, and I've been hooked since. Her pictures are actually incredible, so quirky and cute. The posts range from beauty, lifestyle and D.I.Y, to blog tips, recipes and the occasional rant (who doesn't love them, be honest!). You never know what you're going to get from Claire's blog and that's why I love it so much. It's a treat to the eyes to go on her page and it's because of her that I've picked up a few blog tips of my own, as well as some brilliant books to read! Claire tweets from @Fineanddandy, be sure to check her out do you don't miss a post. You really are the sweetest Aisling! Thanks so much for featuring me on this :) I love the other bloggers you featured aswell, they are all so lovely.